Central American migrants wait for food in El Paso, Texas, Wednesday, March 27, 2019, in a pen erected by U.S. Customs and Border Protection to process a surge of migrant families and unaccompanied minors. The number of migrant families and children entering the U.S. from Mexico is so high that Border Patrol is immediately releasing them instead of transferring them to the agency responsible for their release, forcing local governments to help coordinate their housing, meals and travel. "We need to work toward a clean sweep," Border Patrol Deputy Chief of Operations Richard Hudson said in a letter obtained by The Associated Press sent to sector chiefs Thursday. "This should be our daily battle rhythm." Agents are still doing medical screenings and criminal checks, but the decision means thousands of families will be released without first going through U.S. Customs and Immigration Enforcement, which manages their deportation cases. 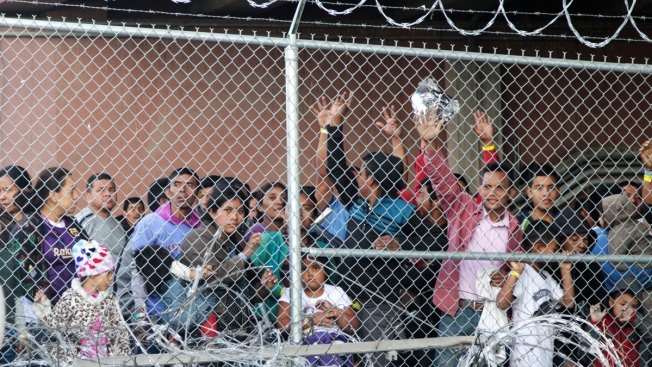 The Del Rio and Rio Grande Valley sectors in Texas and the Yuma, Arizona, sector earlier announced that agents would begin to release families on their own recognizance. A Border Patrol official not authorized to speak on the matter said Wednesday that El Paso and San Diego planned on doing the same. Some sectors were not part of the change, including Tucson, Arizona and El Centro, California. U.S. Customs and Border Patrol announced Thursday it is releasing migrant families without criminal backgrounds into the Yuma, Arizona community. 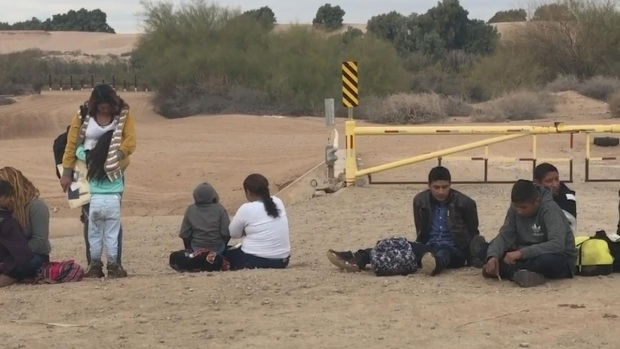 The families will be offered temporary housing, food, medical care and help with traveling to their intended destinations, the Yuma mayor said. Families are typically released with notices to appear in immigration court due to legal restrictions on detaining them and lack of holding space. Until now, Customs and Border Protection has detained them briefly before turning them over to Immigration and Customs Enforcement, generally within 72 hours, to be released pending the outcome of their immigration cases. The move came as Homeland Security Secretary Kirstjen Nielsen wrote to Congress asking for emergency funding for humanitarian and operational needs, and the ability to detain families together as long as necessary to deport people faster. "The volume of 'vulnerable populations' is unsustainable. Our system has been able to cope with high numbers in the past, but the composition of today's flows makes them virtually unmanageable," she wrote. Arrests all along the southern border have skyrocketed in recent months. Border agents are on track to make 100,000 arrests and denials of entry at the southern border this month, over half of which are families with children. To manage the crush, U.S. Customs and Border Protection is reassigning 750 border inspectors from their usual duties at the ports of entry to help Border Patrol keep pace with arrivals in between ports of entry. The head of the agency held a press conference in El Paso on Wednesday to say the breaking point had arrived. But federal lawmakers have fought over whether there is a "crisis" at the border, particularly amid President Donald Trump's push for a border wall that he claimed will solve all the immigration problems. Wisconsin Republican Sen. Ron Johnson, Chairman of the Senate Homeland Security Committee, said Thursday the evidence shows the immigration system is cracking under the strain. "The sad reality is that we now have a virtual open border for any migrant who crosses with a minor, and our border security enforcement has been reduced to a mere speed bump for migrants on their path to long-term occupancy in the United States," he said, adding border officers are being asked to perform an impossible task with no help from Congress. The Senate voted 59-41 to stop President Donald Trump's national emergency declaration to fund a border wall. President Donald Trump said he will veto the resolution. And along the border, officials were working to manage the families that had been suddenly released. Yuma Mayor Douglas Nicholls said was city is working with various non-governmental organizations to make sure families released by the Border Patrol have temporary housing, food, medical care and help with traveling to their intended destinations. Most immigrant families coming to the U.S. don't plan on staying in the border towns they cross through, but rather to meet up with family throughout the country. "Focusing on the humanitarian effort is the most important focus for the city, Nicholls. The Yuma Sector has over the last two years seen an extraordinary spike in the number of immigrant families who turn themselves in. Yuma Deputy Chief Patrol Agent Carl E. Landrum said Thursday that agents have arrested 30,000 people in the relatively small sector since October 1. The facility in Yuma has the capacity to temporarily hold 410 people. Until Thursday, ICE had been picking all of these families up and taking them to Phoenix and Tucson to be processed. But the numbers have swelled so much now that ICE doesn't have enough resources to pick everybody up, so Border Patrol agents themselves are releasing families in Yuma. "It is overwhelming us locally, as well as overwhelming the system nationally," Landrum said. President Trump is reviving his fight to fund a border wall. 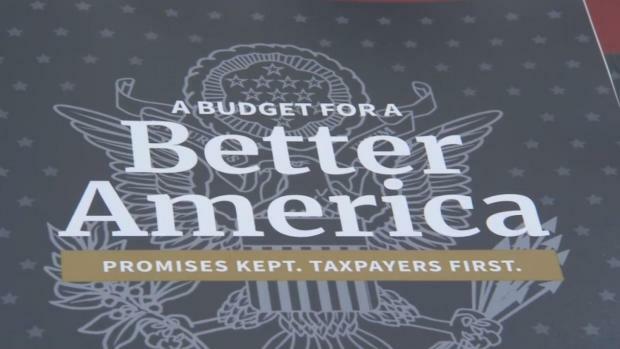 A new proposal calls for $8.6 billion, doubling what Mr. Trump has already set aside. It is six times more than what Congress was willing to approve to end the fight that shut down the government. "The sheer volume of family units crossing the border has overwhelmed ICE's limited transportation resources; combined with a requirement to detain these individuals for no more than 20 days, the agency has no option but to expeditiously arrange for their release," ICE spokeswoman Sarah Rodriguez said in a statement. The agency makes "every attempt to coordinate the release of these individuals with NGOs that provide assistance with basic needs, but the heavy influx in recent months has inundated these organizations as well," Rodriguez said. Associated Press reporter Elliot Spagat contributed.